Visiongain's new automotive industry report the Van Market Outlook Report 2019-2029; reveals that the global van market will reach $39.87bn in spending in 2019. CROYDON, England - April 15, 2019 - PRLog -- The lead analyst of the report said "The global van market will have a moderate growth over the forecast period. Commercial vans are anticipated to occupy the largest share of the market in the forecast period. The Asia Pacific region is the fastest growing region, due to Increasing demand and per capita income in the developing countries being the major reasons for this high growth .New product innovation and launches have been the major strategy adopted by the players in the market. In order to cater to the changing consumption pattern of the consumers, the companies have been developing new models. Partnerships have also enabled the market players to establish dominance in the market." If you are interested in a more detailed overview of this report, please send an e-mail to sara.peerun@visiongain.com or call her on +44 (0) 207 549 9987. The informative report contains 98 tables, charts and graphs that add visual analysis in order to explain developing trends within the global van market. Visiongain provides revenue and volume forecasts for the period 2019-2029 for the 4 van submarkets, namely commercial, emergency, personal van and other vans in market value as well as sales volumes. The report offers market forecasts and analysis by region and leading national markets and the rest of the world market. In addition, the report contains a dedicated leading companies' chapter covering more than 10 companies leading the field in the van market. The Van Market Outlook Report 2019-2029: Forecasts & Analysis ($m Value & Unit Volume) By End-User (Commercial Van, Personal Van, Emergency Van, Other Van) And By Region Plus Profiles of Leading Automotive OEMs , Companies & Manufacturers report will be of value to anyone who wants to better understand the van market and its various segments. It will be useful for businesses who wish to better comprehend the part of the market they are already involved in, or those wishing to enter or expand into a different regional or technical part of the van industry. 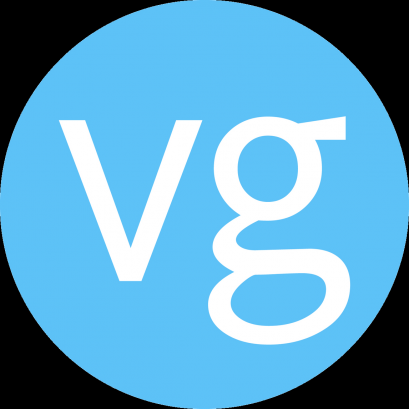 Visiongain is one of the fastest-growing and most innovative independent business intelligence providers in Europe. Based in London, UK, Visiongain publishes independent and insightful market reports across a wide range of industry verticals, including automotive, chemical, cyber, defence, energy, pharmaceutical, materials and many more sectors. Visiongain publishes reports produced by its in-house analysts, who are qualified experts in their field. The company has firmly established itself as the first port-of-call for the business professional, who needs independent, high quality, original business intelligence to depend upon.